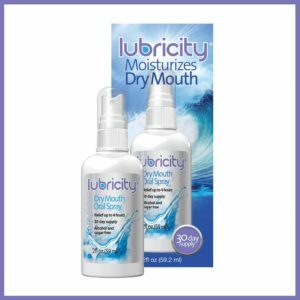 Our formula contains sodium hyaluronate, known among scientists as “nature’s lubricant.” Lubricity also contains xylitol, which prevents bacterial growth in the mouth, reducing the risk of infection. Lubricity contains 5 safe ingredients: water, xylitol, sodium hyaluronate, sodium benzoate, potassium sorbate. 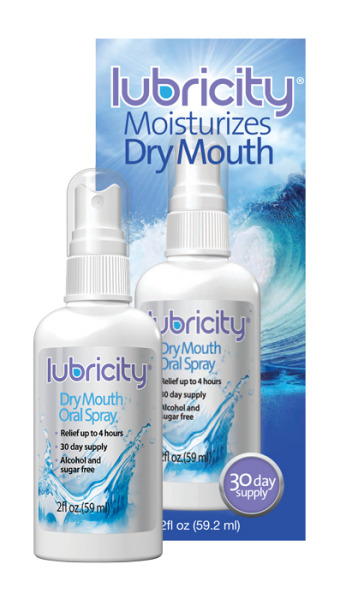 Lubricity acts rapidly and provides up to 4 hours of relief when used as directed. Used as directed, a 2 oz. bottle of Lubricity provides daily relief for a whole month. 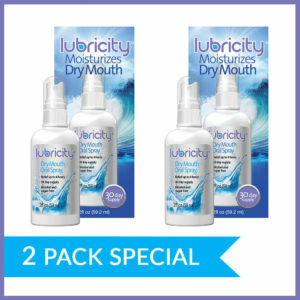 This makes Lubricity the most convenient, cost-effective solution for dry mouth symptoms. Lubricity’s formula contains no sugar, alcohol or gluten. Lubricity comes in a 2 oz. leak-proof bottle. It’s small enough to be taken along in a purse or a pocket. 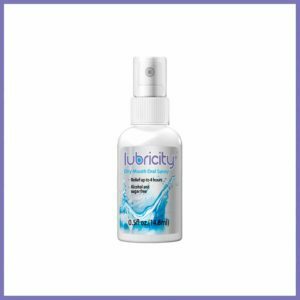 Lubricity is a travel-friendly solution for people on-the-go. I have had dry mouth for over 7 years and have tried all the ones that told to me…. But this is the product…Ever!!! It is like total freedom….I like it because it has no flavor and is sugar free…I don’t feel like I have to drink a gallon and half of water a day….I just can’t say enough about this product..I just purchased my 30 day bottle…I really appreciate my bottle that you sent for me to sample!!! Thank you …Thank you!!!!! Get 20% OFF your order by joining our list! Join our mailing list to receive exclusive offers, promotions & updates! Receive 20% OFF coupon right away.